Doesn't this look like a painting? We are here visiting my family. 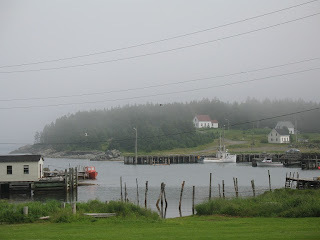 It is an exquisite little fishing village on the south east coast of Cape Breton Island, part of Nova Scotia. 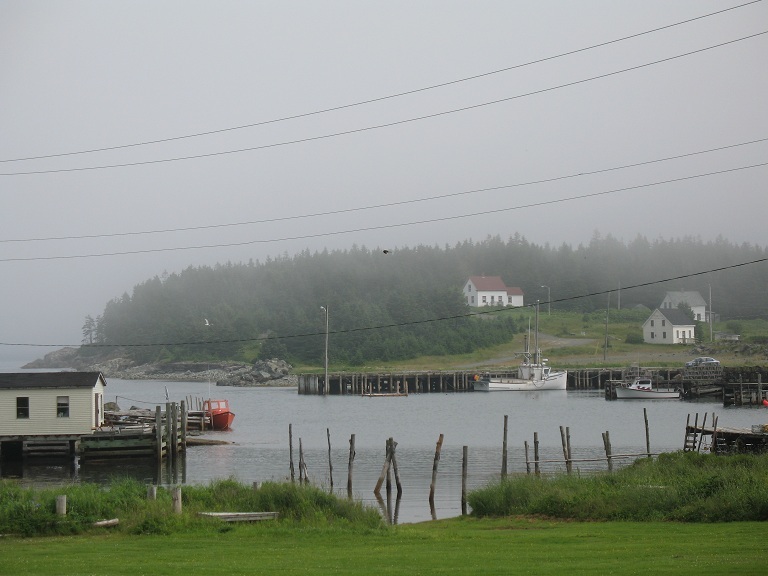 Indeed, even in the fog this place is enchanted, peaceful and a lovely place to escape from the rat race for awhile.